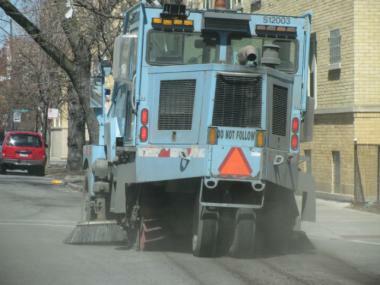 A street sweeper does some pre-season sweeping on Kimball Avenue in Albany Park. CHICAGO — It's street-sweeping season. That means you might have to move your car starting on Monday. The sweepers will clean streets into November. 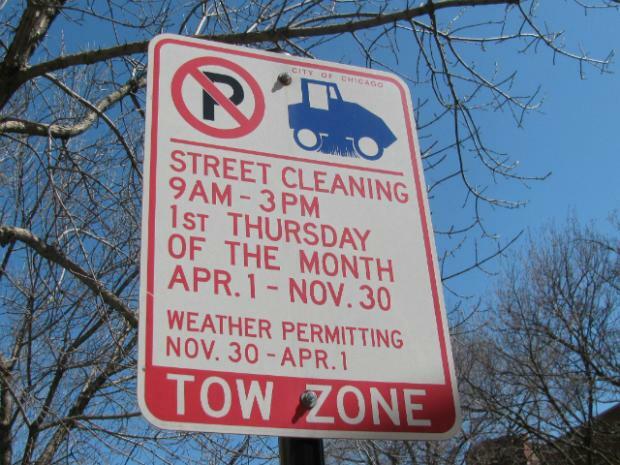 Information on temporary parking restrictions are posted online the day before a sweep is scheduled or posted on permanent signs on the street, according to the city. Cars parked in the path of a sweeper can get a ticket with a $60 fine. And the city also has authority to tow cars, bringing fines up further. Residents can also call 311 or their local ward sanitation office for street-sweeping information. Ald. Joe Moreno (1st) offers a text message alert system that drivers in the ward can sign up for and get alerts when their street is being cleaned. The 1st ward has several sections, according to a map.